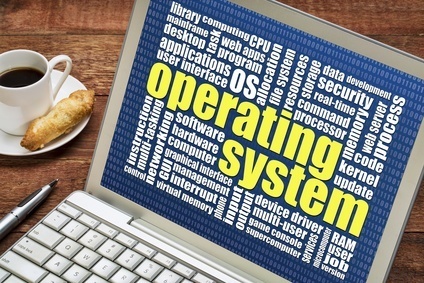 If you have a corrupted operating system, a fresh reinstall may be the most cost effective way to resolve certain issues. Or, you may simply want to upgrade your current operating system. The Microsoft Windows operating system often requires repair and support because it is the most commonly used desktop software in the world. Computer Corner's professionals can repair most Windows operating system issues. Some of the most common Windows repair issues are the infamous “Blue Screen of Death” also known as the “Blue Screen”, and the black screen and blinking cursor issue. Sometimes the Windows operating system will only be able to boot into “safe mode” due to possible system file corruption or files that have been deleted by a virus. Another very common Windows issue is the network connection or the wifi (wireless internet connection) has stopped working and therefore the Internet stops working on the computer running Windows. This can be caused by several factors, but most commonly is caused by certain computer viruses that turn off the network connection, or corrupt or delete the network connection device driver. We will quickly assess your particular operating system issues and determine which solutions are most cost effective and efficient for you. Please contact Computer Corner at (352) 460-1155 or use our online form to let us know how we can assist you with operating system services.